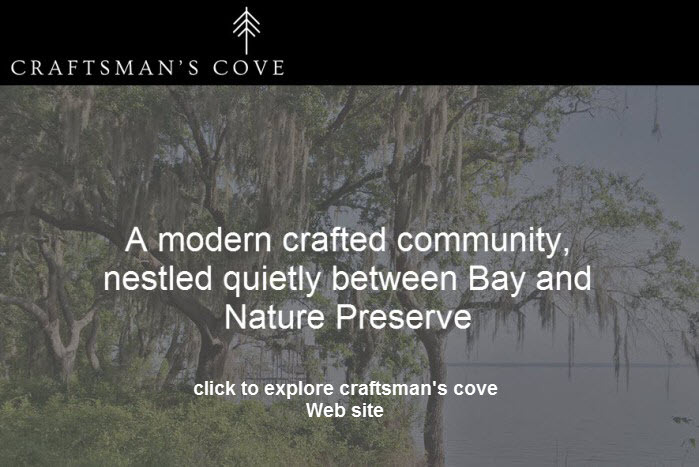 Quietly nestled within 24 acres of Florida’s native pine forests, sits Craftsman’s Cove, a sanctuary for the whole being. Ideal for families, this Santa Rosa Beach community is the ultimate abode for a comfortable, yet modern approach to the Gulf Coast lifestyle. With Anthony Vallee's natural architectural plan embracing the bay’s becalming beauty, the 26 lots blend rustic artistry, comfort and privacy with panoramic views of Florida’s virginal landscape. Here, convenience and solitude seem to thrive.